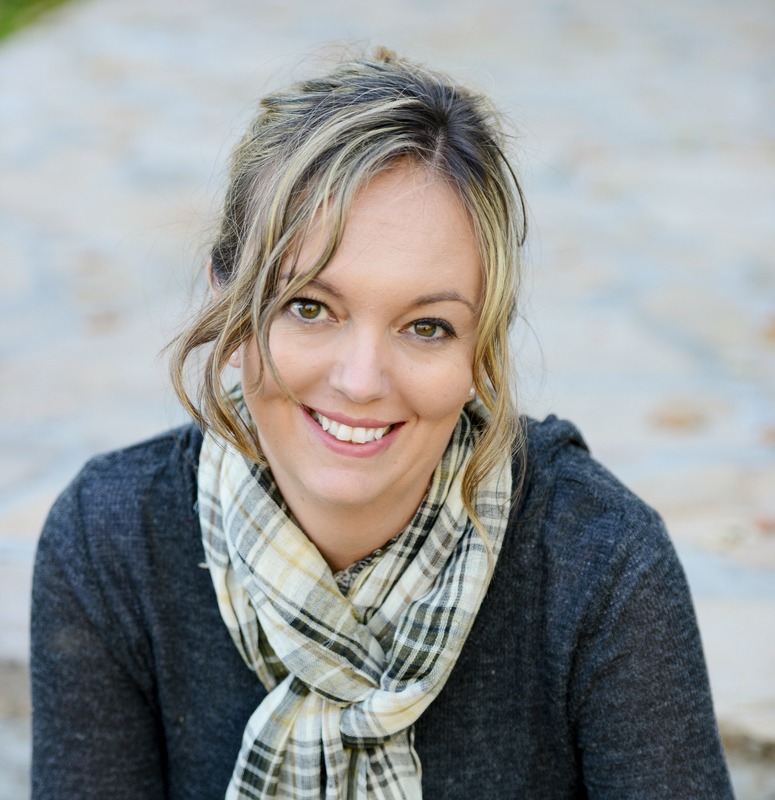 I’m excited to show you a new product the kids have been loving lately! Have you heard of Kwik Stix? They’re tempera paint sticks that are in “glue stick-like” form so your kids can paint without the mess. You simply twist and paint! 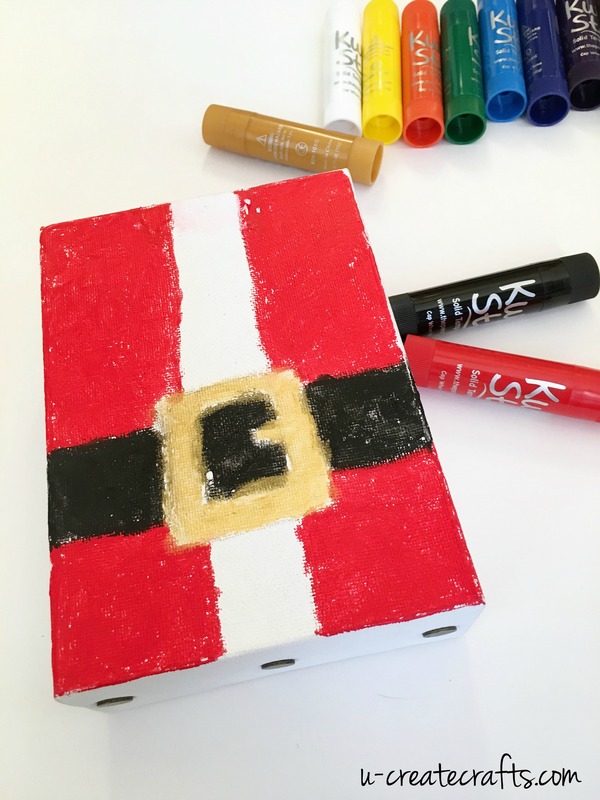 I gave two of my daughters a blank canvas, these paint sticks and they had the best time creating DIY Christmas Canvas Art. 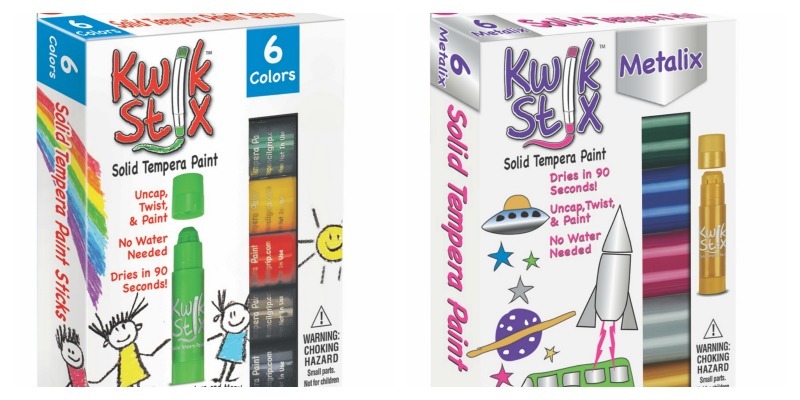 Kwik Stix are great because they have a paint texture so they are very different from markers or crayons. 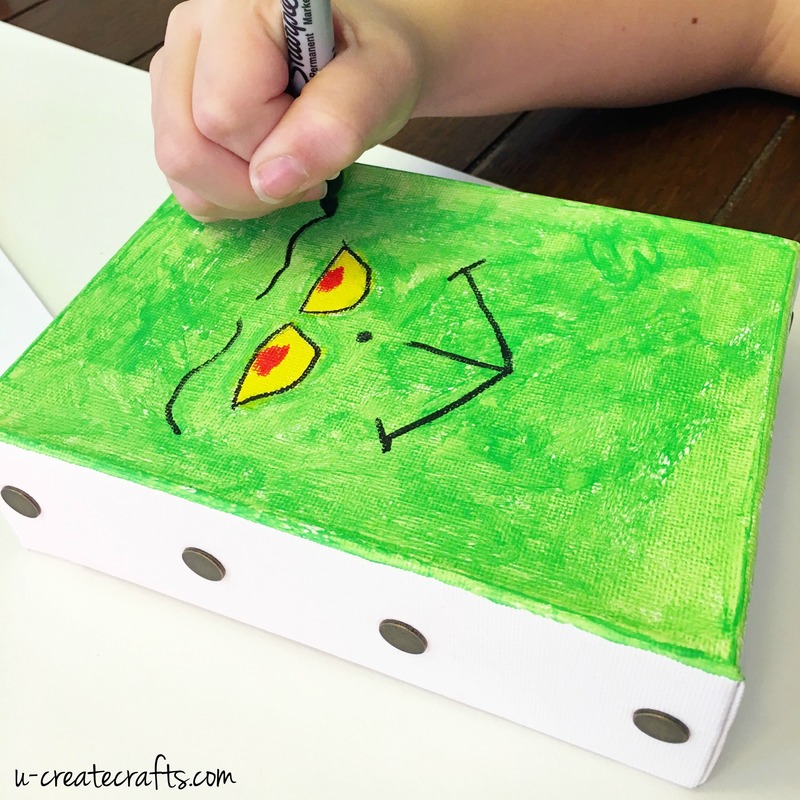 One daughter wanted to make a Santa canvas and the younger one wanted to paint the Grinch’s face! She used the light green, yellow, and red Kwik Stix. She grabbed a permanent marker for the finishing touches! Look how cute my other daughter’s canvas turned out? She used the metallic gold for the belt, the red for the jacket and the black for the belt. 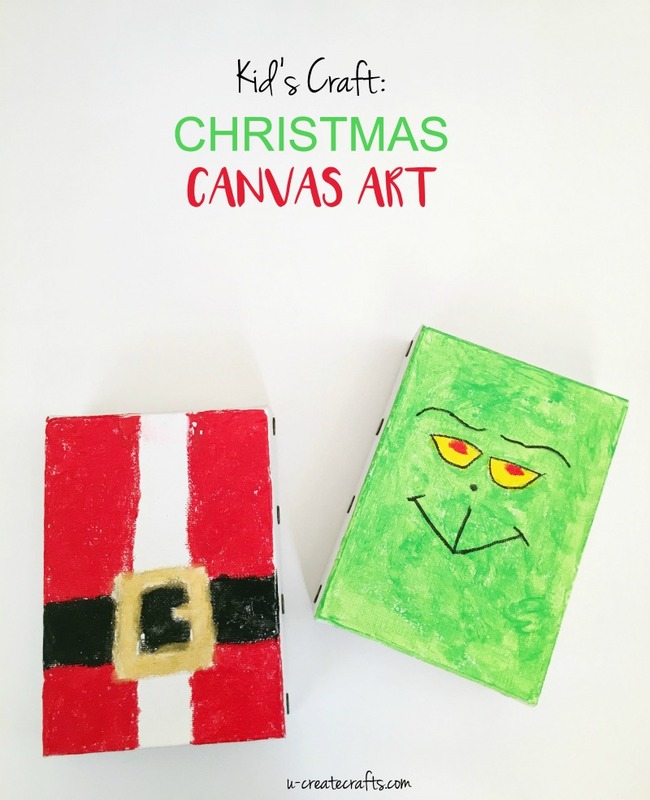 Christmas canvas art complete! I can’t believe there wasn’t one ounce of mess on my table, their clothes, or their hands. 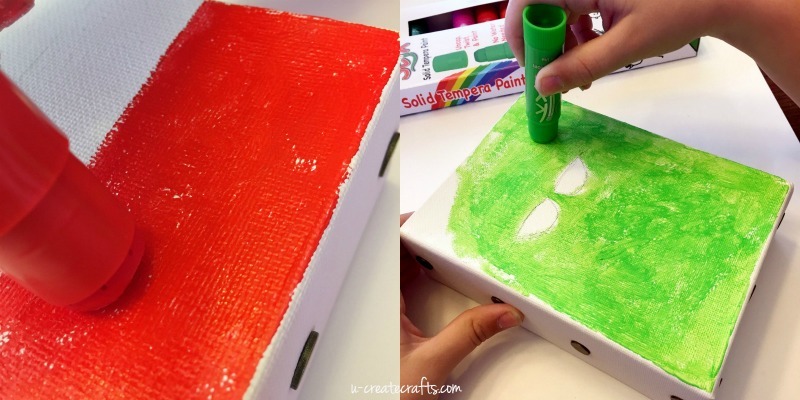 This stuff dries in 90 seconds so you can display it quickly, too! 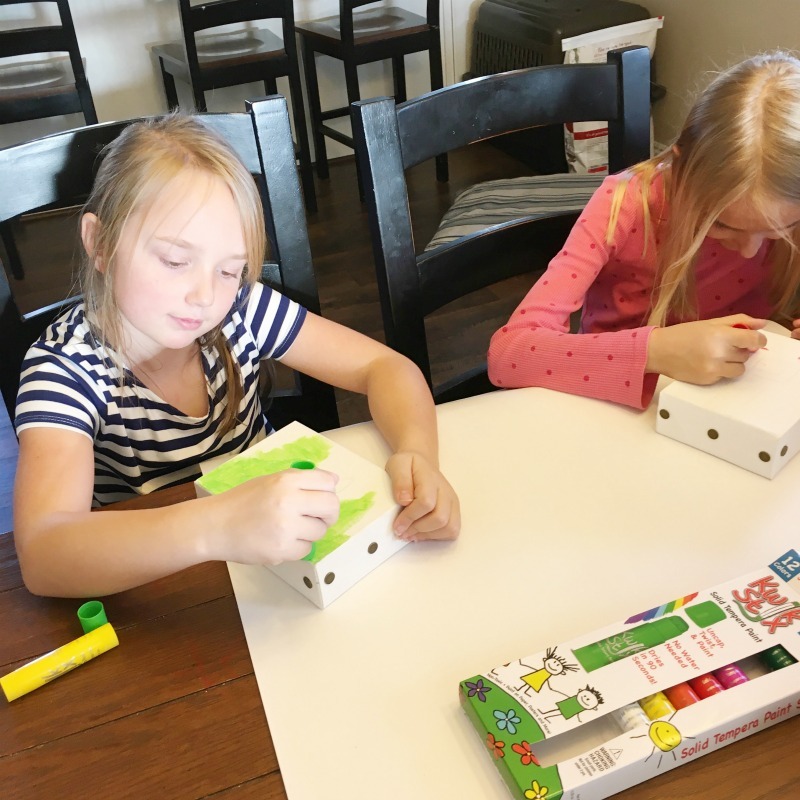 Kwik Stix made a great impression on the girls and they can’t wait to make posters and more kid crafts! These work great on many different surfaces like cardstock, posterboard, paper plates, and more! 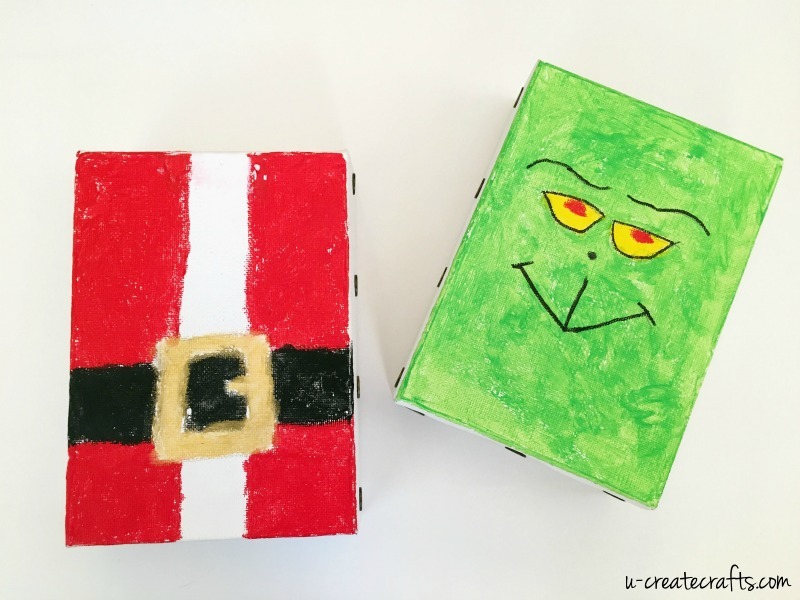 Want to try these out or give them as gifts to the creative kids in your life? You can grab a 12-pack for about $12 – HERE. Find them in other sets like metallic and neon, too. Also available at Target stores thru Christmas! Thank you to The Pencil Grip Inc. for sponsoring this post. All opinions are mine.